A couple weeks back, my dear friend Jenn added me to a facebook group called Vegan Meringue: Hits and Misses. At first, I had no idea why, and then I became really intrigued. Regular readers to this blog will know that, while I’m not vegan, I do enjoy cooking vegan, and I especially enjoy the challenge of creating delicious, egg- dairy- and/or gluten-free dishes for my friends (who all seem to have a lot of allergies). Well, my friends, prepare to have your minds blown wide open. There’s a new egg white substitute in town, and it is amazing. 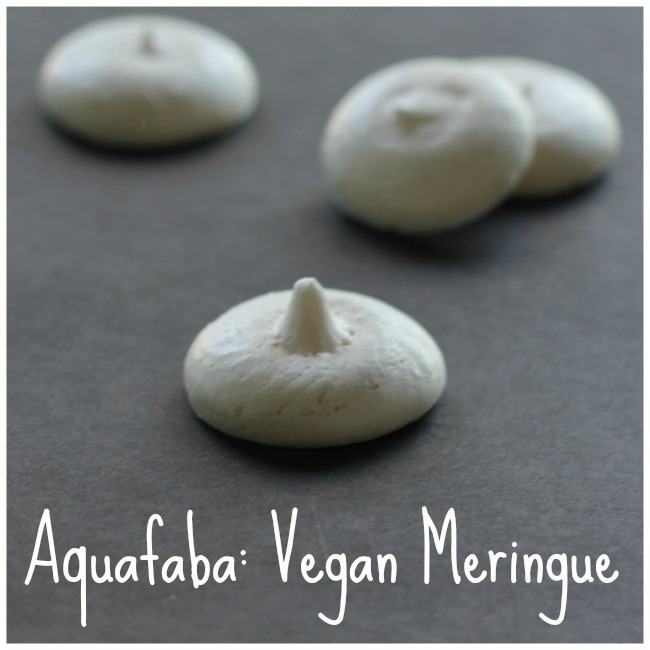 Aquafaba (“bean water”) is this amazing vegan egg substitute. Now, if you, like me, have been using flax eggs as a vegan substitute in things like pancakes and waffles, this is going to revolutionize your breakfast. I have never been a huge fan of flax eggs–while they work well for binding, they don’t add fluffiness and volume. Measure out 2/3 of a cup of the bean water. If there is some left over, put it in the fridge for later, or you can freeze it as well. Place the bean water in the bowl of your stand mixer. You can, of course, use a hand mixer for this as well, but it needs to beat for while, so ideally, you want to use a stand mixer for this. Add to the bean water 1/4 cup sugar, the cream of tartar and whatever flavouring you desire (you can elect to have no flavouring if you wish). 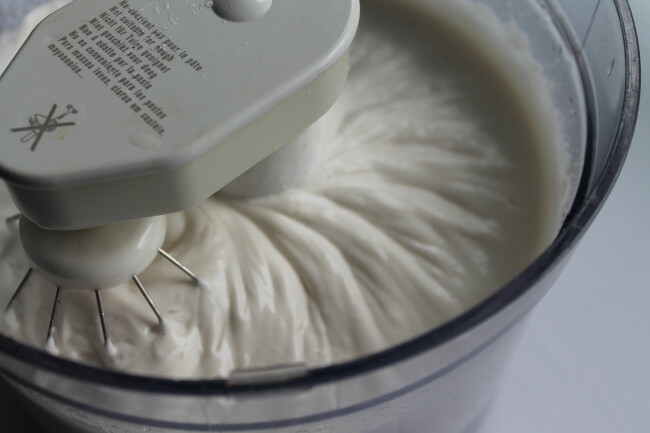 Turn on the mixer and let it go for about 5-10 minutes, until it has become fluffy and looks like meringue. You should be able to turn the bowl upside down without it budging. This recipe will make about 5 cups of meringue. Place in a piping bag and pipe out small circles on a parchment-lined cookie sheet. Bake at 150 degrees for 90 minutes, then leave in the oven to set overnight to make meringue cookies. 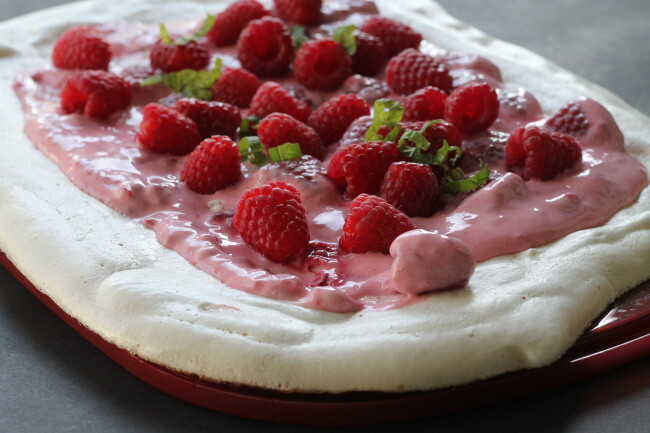 You can do something similar, but in a different shape (larger) to make a pavlova shell. Fold into your vegan pancake or waffle batter at the very end to make it fluffy. Vegan Mousse or Ice cream. I’m really stoked about this new discovery, and I can’t wait to play with it some more! Give it a try and let me know how it goes, and what you make with it. For the sugar, I suppose that date sugar could be used, right? I prefer to use only fruit-based sweeteners. I haven’t tried that one… let me know if it works.